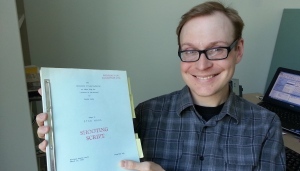 Imagine you're working at a library and you rummage through the books and endless shelves and find a script to a movie, not just any movie though an original Star Wars script dated March 15th, 1976? made the lucky find while he was working to digitize the library's collection which suddenly went up in value when he came across this find. 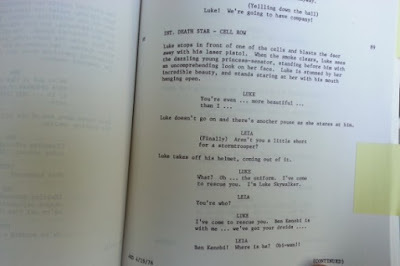 The script has a Lucasfilm logo on the pages. Brown is not sure how the script came to the library but he speculates that it was acquired in the 90's by the library. The University plans on putting the script on display where curious Star Wars fans can take a look at the first adventures of Saga 1. The adventures of Luke Starkiller. Sad thing is it may be a copy. 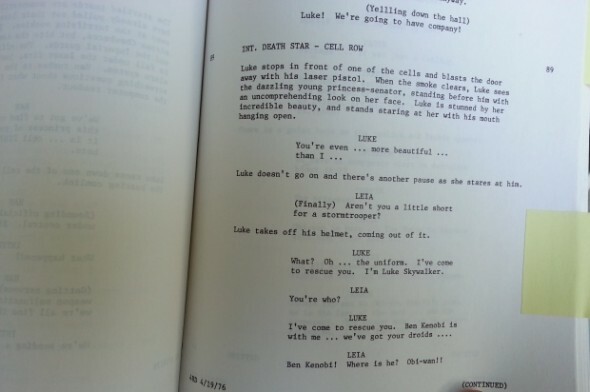 Lucasfilm Publicity said it looked to be a copy of the real, early script, but it appeared to be a "fan-made" replica version of the sort once sold at conventions.